Let’s be honest! Halloween is a candy celebration! No matter how many desserts we make and how cute or spooky they are, candies are the heart of all Halloween parties. Since sweets made for this fun holiday are not always healthy – lollipops, candy, chocolate, etc. 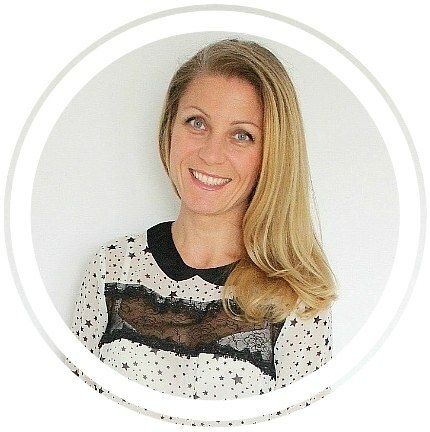 it’s advisable to try and provide some more nutritious dishes without harmful additives. 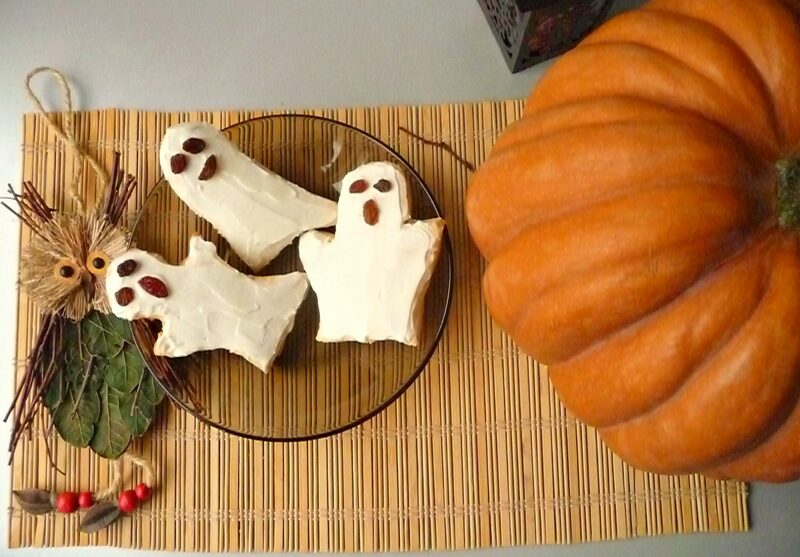 Here is a cute idea for healthy salty & sweet snacks to put on your family’s Halloween table! 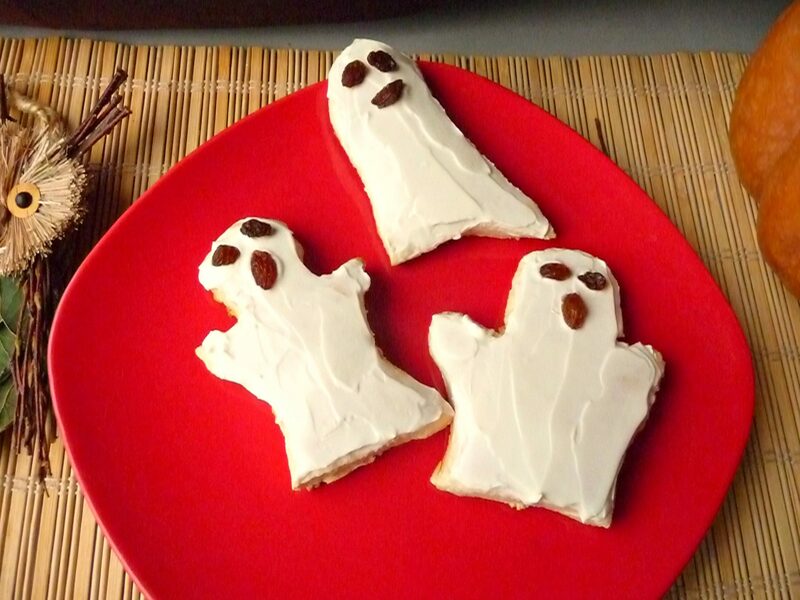 Kids will love these ghost biscuits with cream cheese, particularly if you tell them they’re Casper’s brothers. Yes, I lie my kid all the time when it comes to food but it’s all for a good cause. 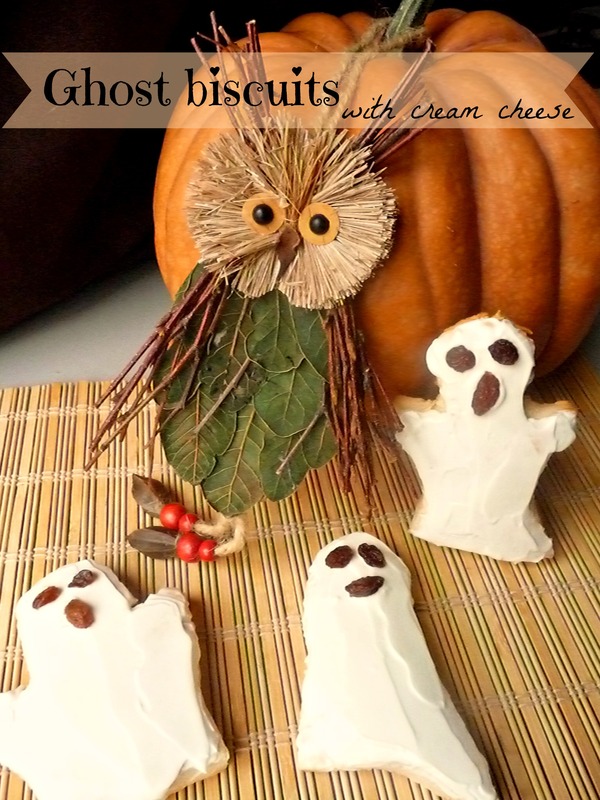 These ghost biscuits with cream cheese are delicious and healthy and very easy to make, in spite of all the kneading needed (I am so not good at kneading!). For this recipe you need to use plain cream cheese or cream cheese mixed with a little salt and a pinch of sugar, it’s all up to your own taste. Decorate with cream cheese and raisins if you use sweet cheese or cut eyes and mouth out of black olives, a good match for salty cheese. 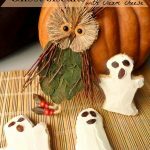 For more Halloween recipes here is a Free Vegan Halloween Recipes E-Book for you to download here.